In addition to sponsorship of both teams to reach the final for the first time in nearly 25 years, Adidas also has bragging rights to the highest scoring boot, the adizero f50 having been behind the ball for a total of 47 goals. Wearing the adizero f50 boot were three of the top scorers, Rodriguez, Müller, and Messi. When Colombia's breakout star James Rodriguez scored a successful penalty kick in the quarter finals against Brazil, just days shy of his 23rd birthday, he not only rose to the top of the golden boot contender list but became the second youngest player to score six World Cup goals. Germany's Thomas Müller became the second player to score five goals in two consecutive World Cups when he scored the first goal in Germany's surprising 7-1 win over Brazil. For Argentine superstar Lionel Messi, it wasn't quite like 2012 when he scored 86 goals during the calendar year, but his technique has some saying he should be considered the most influential player in the tournament. 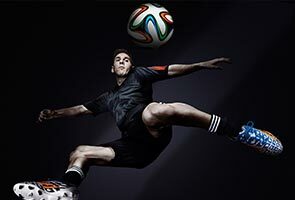 Reports say Adidas is also the most talked about brand during the 2014 FIFA World Cup on every social networking platform. The brand's "all in or nothing" campaign has gained 4,865,502 followers across social media, likely due to the real time tactical aspect in which it has drawn attention to the tournament's most pivotal moments.